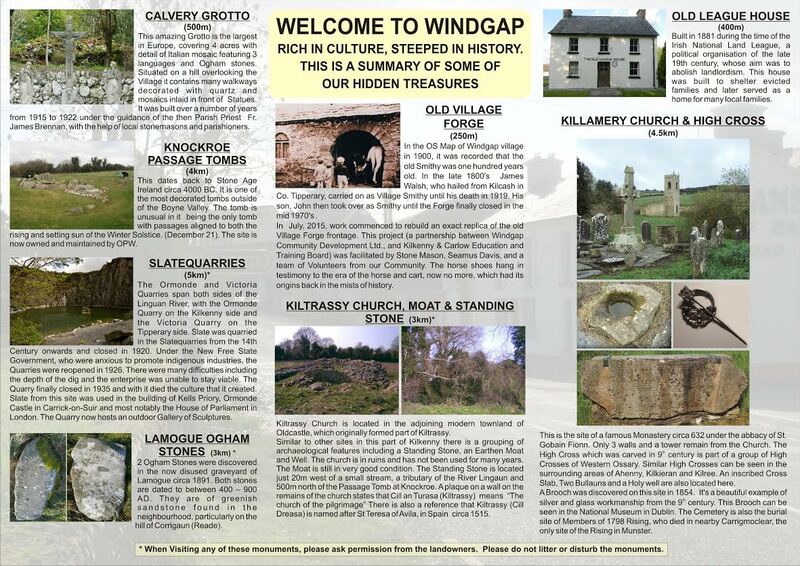 Two wonderful new walks are open for business in Windgap. Following in the footsteps of the impressive Killmacoliver walk in Tullahought are these two new unique walks, both starting at the lake are in Windgap. 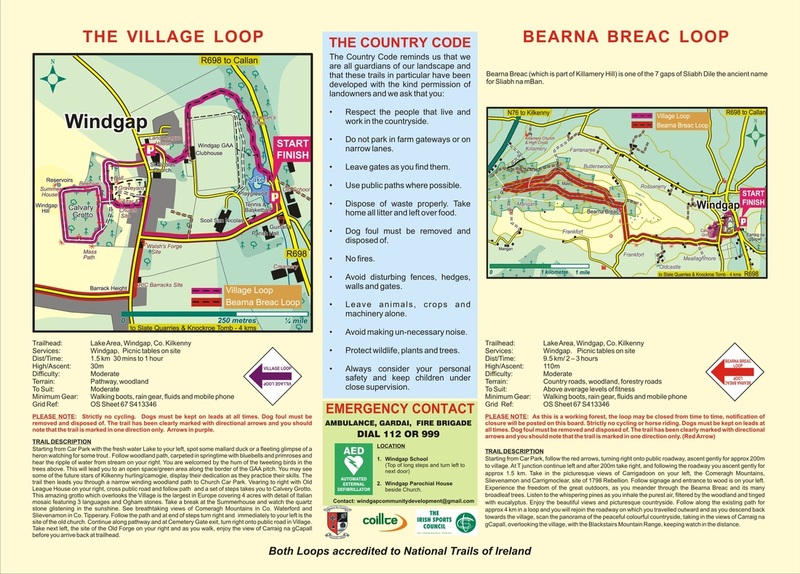 One travels around the Bearna Brac loop and back to the village, with panoramic views to be seen in all directions. The other shorter walk, navigates from the lake thru the forest, around the perimeter of the GAA grounds, crosses the new link to the church yard, across the road and around the beautifully ornate Grotto, and then back thru the village, finishing at the lake. Well done to the hard work of those involved in getting these across the line. Its another great example of community spirit in our area.